“Archangel Fireworks offers a unique service; many people don’t know that a custom fireworks display can be the perfect finale to your big day. The Wonderful Wedding show gives us the opportunity to bring that excitement to a wider audience through their advertising and social media campaigns, and the huge number of attendees that we get to meet with face to face at the show. We love it when someone who has never thought of the idea of having fireworks at their wedding sees our booth, it is like a light bulb goes off over their head and a smile crosses their face. You can’t make that kind of impact on potential customers anywhere else. Another benefit to being a part of the Wonderful Wedding Show is that we have the opportunity to network with the other wedding vendors. It takes a lot of teamwork to make sure your big day goes off without a hitch, making connections is so essential in this industry. “Eph Apparel is a proud supporter of the Wonderful Wedding Show. As a national brand, we have the unique pleasure of attending Wedding Shows across Canada and we can confidently say that this show provides both vendors and attendees with the best experience in the country. “There really is no other show like the Wonderful Wedding Show in Manitoba. Sherri Rheubottom and her fabulous team have set the bar high as far as wedding showcases go and every vendor who participates says how much exposure and business they get by attending. To be able to meet brides and their families in person is very special and to be able to network with other vendors during the weekend is amazing. Walking around and seeing the passion and creativity everyone puts into their booth is so fantastic to see. “Stella’s Bridal & Evening Collections participated in the first edition of the Wonderful Wedding Show and has taken part in Winnipeg’s finest wedding trade show ever since.The Wonderful Wedding Show has enabled Stella’s Bridal to meet face to face with tens of thousands of brides, their families, and entourages. Their spectacular fashion shows have provided Stella’s Bridal with an unparalleled opportunity to showcase our elegant, modern, and chic wedding and bridesmaid dresses to enthusiastic and receptive audiences. 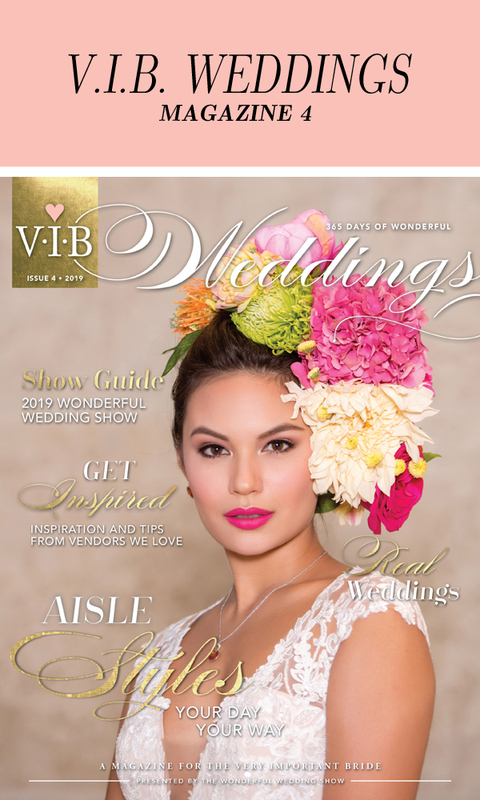 The Wonderful Wedding Show’s varied advertising opportunities have allowed Stella’s Bridal to connect with Manitoba brides in the midst of planning one of the most important and celebrated events of their lives. Stella’s Bridal’s partnership with the Wonderful Wedding Show has resulted in positioning our bridal boutique as an essential destination for Winnipeg brides and their bridesmaids. The things Stella’s Bridal enjoys most about participating in the Wonderful Wedding Show are its high level of organization and professionalism. Sherri Rheubottom, together with her exceptional staff, pay attention to every detail of the event’s operation to ensure vendors enjoy a positive show experience. Stella’s Bridal has found the Wonderful Wedding Show experience to be a one of a kind and exemplary marketing occasion. No other Manitoba wedding event is as highly promoted, anticipated, and attended. For virtually every Winnipeg bride, attending the Wonderful Wedding Show with family and friends is as much a part of the engagement experience as wedding dress shopping to find the one! “In 2000, Rygiel Photography & Video first participated in the Wonderful Wedding Show. The experience was so positive that Rygiel has been part of the show ever since. The Wonderful Wedding Show makes it possible for Rygiel Photography & Video to meet with more brides, and their families and friends, in a single weekend, than we typically would in an entire year. Although it’s true that today, brides are able to view photographers’ and videographers’ work online anytime, we have discovered there is no substitute for the one on one interaction the show facilitates. The Wonderful Wedding Show takes place in the centrally located, and beautifully renovated, RBC Convention Centre. Rygiel has found the show’s extensive marketing campaign attracts thousands of brides and their entourages to the show, and that the experience is much like attending a concert. The show generates a great deal of energy that encourages brides to finalize purchasing decisions for their wedding event. Rygiel Photography & Video’s partnership with the Wonderful Wedding Show has resulted in an increase in the number of events we book, and has introduced our products services to both current and future brides. The things Rygiel Photography & Video enjoys most about participating in the Wonderful Wedding Show are the large number of excellent attendees, and the many networking opportunities the show affords. As a result of the high quality of this show, professionally produced by Sherri Rheubottom and her extraordinary team, Manitoba’s most talented vendors are attracted to participate as exhibitors, making it the perfect one stop shopping experience for brides.